CO2 Page | Watts Up With That? Note: All historical Land Use based estimates of CO2 contribution should be viewed with a high degree of skepticism. Further information on Land Use based CO2 estimates can be found Land Use Change section below. There have been claims made that Land Use Changes measured as Annual Net Flux of Carbon to the Atmosphere were a significant source of Anthropogenic CO2, however the following graphs are based upon highly suspect Houghton data, i.e. from IPCC AR4: “Although the two recent satellite-based estimates point to a smaller source than that of Houghton (2003a), it is premature to say that Houghton’s numbers are overestimated.” Houghton’s method of reconstructing Land-Use Based Net Flux of Carbon appears arbitrary and susceptible to bias; i.e. “Rates of land-use change, including clearing for agriculture and harvest of wood, were reconstructed from statistical and historic documents for 9 world regions and used, along with the per ha [hectare] changes in vegetation and soil that result from land management, to calculate the annual flux of carbon between land and atmosphere.” Furthermore Houghton’s findings have varied significantly over time, i.e. in Houghton & Hackler, 2001 they found that, “The estimated global total net flux of carbon from changes in land use increased from 397 Tg of carbon in 1850 to 2187 Tg or 2.2 Pg of carbon in 1989 and then decreased slightly to 2103 Tg or 2.1 Pg of carbon in 1990”. However, by Houghton, R.A. 2008 he found, “The estimated global total net flux of carbon from changes in land use increased from 500.6 Tg C in 1850 to a maximum of 1712.5 Tg C in 1991”. How many percent of the annual co2 is caused by humans? Where is the timelag gone? 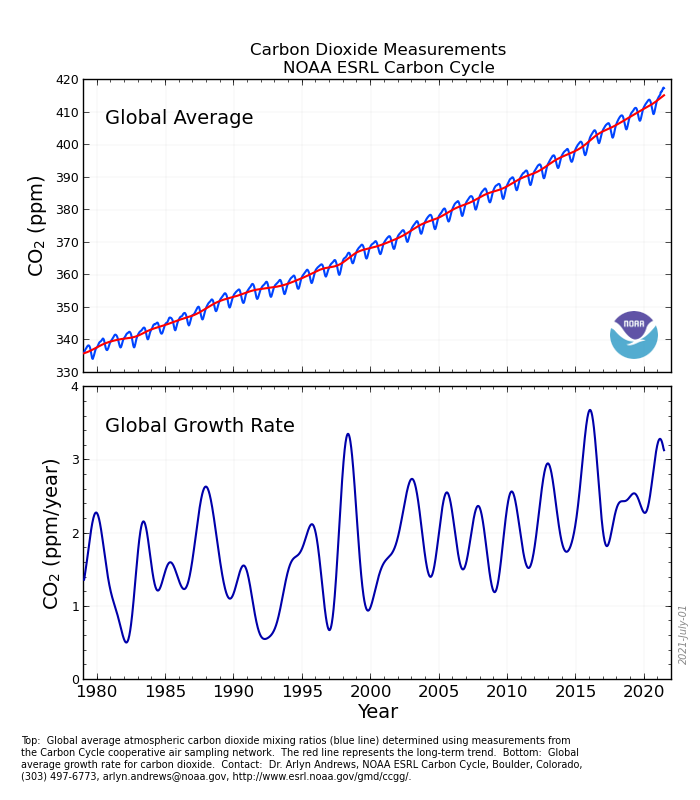 When CO2 levels were steady, global average temperatures rose. 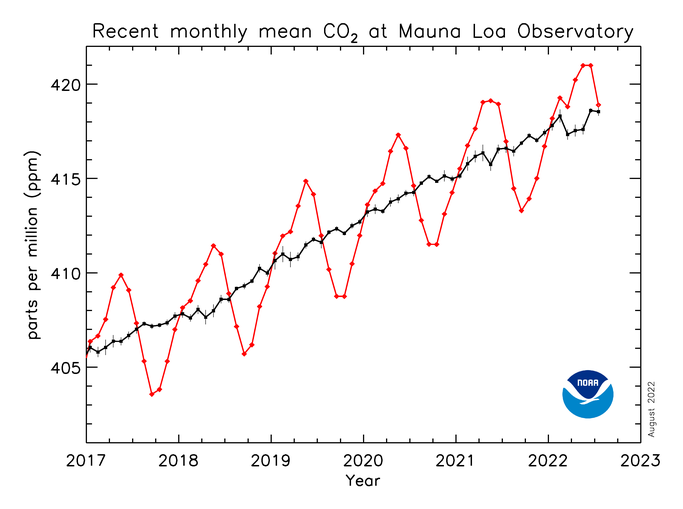 When CO2 levels were steady, temperatures were steady. 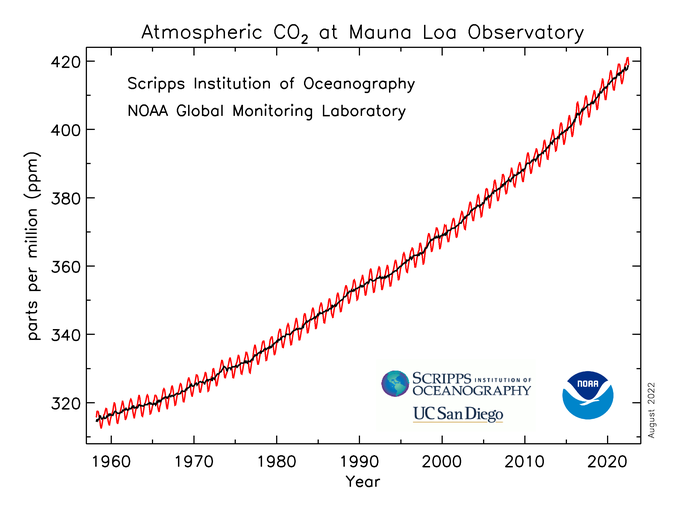 When CO2 levels were steady, temperatures fell. 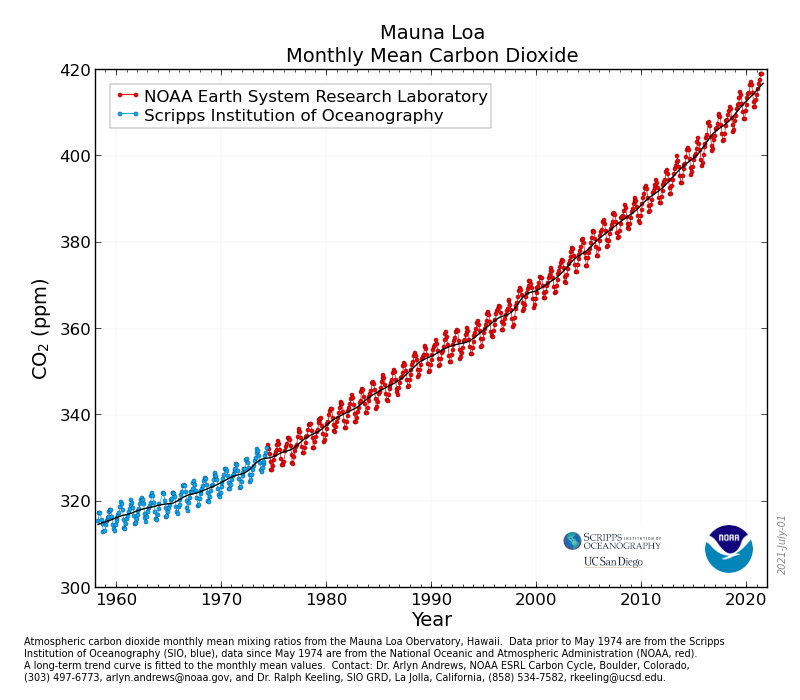 When CO2 levels rose, temperatures fell. 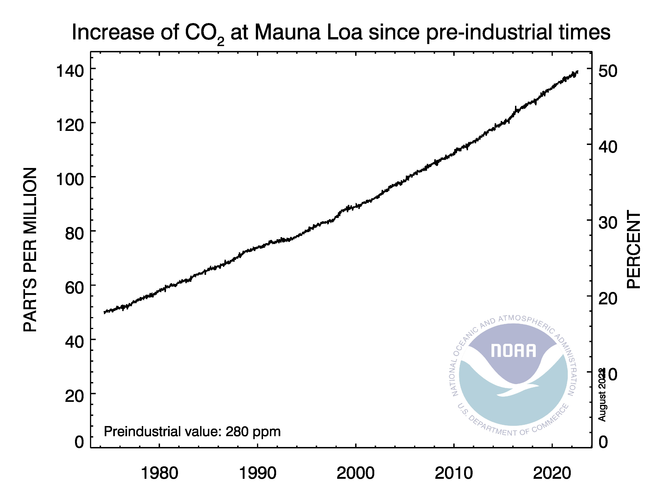 When CO2 levels rose, temperatures were steady. 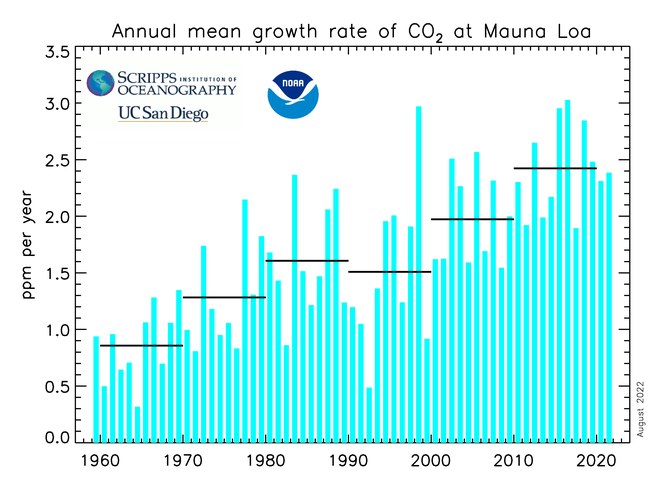 When CO2 levels rose, temperatures rose at the same rate that they rose when CO2 levels were steady. I have been maintaining a database of all CO2 estimates through geologic time from all studies which make the data available and are not just cherrypicking one date or three dates but provide at least ten estimates over some period (there is a huge amount of cherrypicking in climate science and especially with respect to CO2 levels). There are a few methodologies which appear to be unreliable (producing unrealistically low estimates and unrealistically high ones that I have discarded – these are Paleosols/Pedogenic Carbonates, Boron and Tex-86 isotope calibrated estimates). So here is ALL of the 2,700 reliable estimates of CO2 over the last 750 million years and for higher resolution, last 270, 40 and 8 million years. Man-made CO2 accounts for 0.12% to Green House Gas effect, with Mother Nature accounts for 3.50%. Water Vapor (both man and mother nature) accounts for 95.00%. 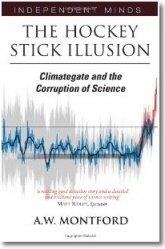 Do you have sources for the 95% H2O, & 3.62% CO2 figures that pro-AGW people would accept? Quite possibly time lag is still there. What we may be seeing now with some of the rise in CO2 levels is fallout of warming that occurred during MWP (about AD 950 to 1250). 1996 AD – 800-years = 1196 AD. With the warming we experienced 17-years ago, we may see an increase in CO2 levels in 783 years. This is a very helpful page. 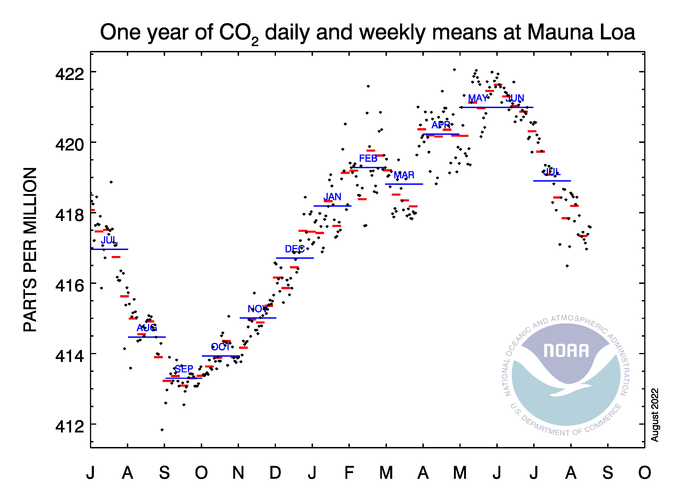 I’d like to request one new plot please: Please show the total carbon at Mauna Lea, as a function of time just like NOAA but with the y-axis extending down to zero. This will help us visualize the increase in CO2 as a percentage of total CO2. Thanks. Various statements have been made here and there that human activity, such as power generation, transportation, and industrial process, add up to about 3% of new CO2 emissions per year. Supposedly there are half a dozens or so larger sources (e.g. volcanoes, insect life, ocean expiration). If there are any reasonable sources for this kind of information, charts or links would be quite interesting. 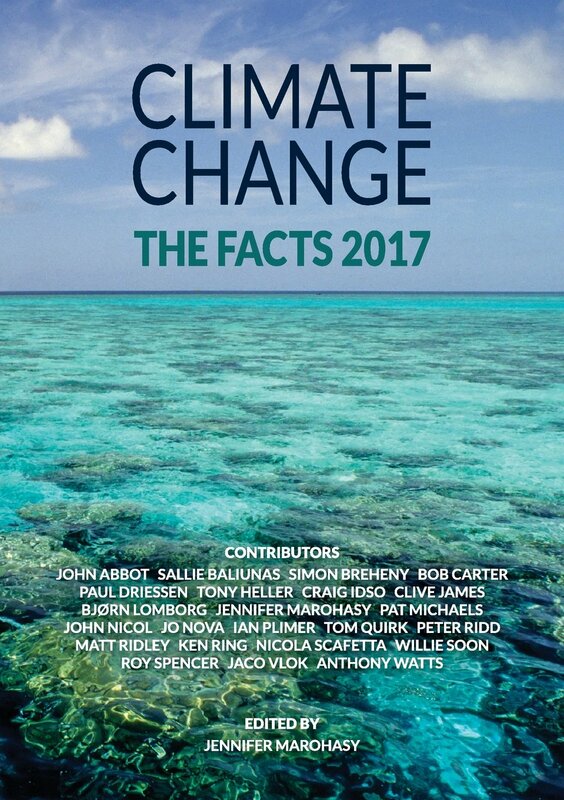 A CO2 fact page that focuses solely on human activity contributions gives as biased a view as those claims that only human activity is responsible for climate changes. Is there a way to measure the part of the man made co2 content in the present atmosphere? Great, thanks, but the forcing is the important one, not the concentration. What exact forcing do you mean? One for the last million years would help show the recent glaciation cycle. Typo on all graphs – “unrealiable” should be “unreliable”. Or maybe “unrealistic”. Lewis Carroll would like it though. In the chart labeled “160,000 to 1996 CO2 Concentration”, is it proper to display low resolution ice core info together with high resolution instrument readings in the same chart? As I understand it, a higher resolution source always will show much higher volatility of readings. 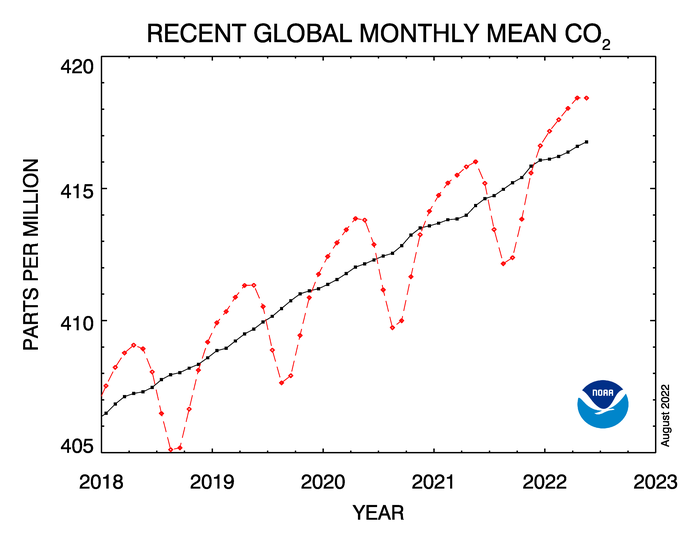 Since we currently are in a CO2 upswing, this guarantees a hockey stick. I suggest including charts of methane too. How much of atmospheric CO2 & water vapor is from human resperation? Watching Jaws iii earlier this week, I wondered what CO2 levels were during the Dinosaur era as those animals would have needed a lot of vegetation to keep their vast bodies nourished. The herbivores would need huge plants to eat and would in turn feed vast herbivores. I was pleased to find your charts, and discover that CO2 levels during their existence was between 1,570ppm and 520ppm roughly, but dropped below 500ppm at about the time of their disappearance. There must have been a reduction in scale of all life, all life being dependent on CO2. Life continued on a smaller scale and will no doubt do so again? Could it be, that the earth’s atmospheric pressure was much higher than it is today? The consequences for all living things would be profound. I don’t know about atmospheric pressure, but the very generous amount of CO2 would certainly have supplied abundant plant food, and therefore the size of the animals that grazed on them. It was also a warmer wetter world with no ice at the poles. I have never seen anyone comment on that connection, nor on the likelyhood that a dropping of the amount of CO2 would lead to smaller plants and animals. It seems obvious to me. What of the argument by AGW advocates that the release of CO2 by human activity exceeds the increase CO2 in the past century, therefore the entire recent increase is due to man? I am suspicious of the logic in this claim. 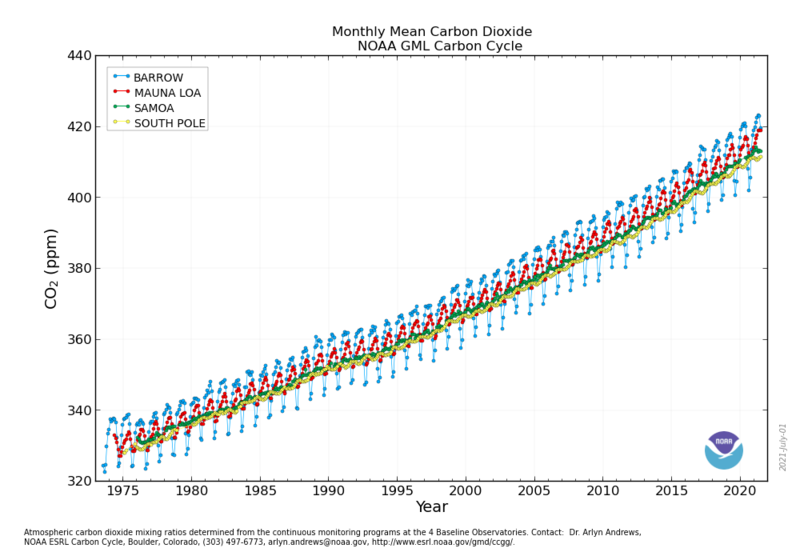 Uggh, human emissions which are apparently responsible for the consistent increase.. have never matched CO2 growth. The very equations relate surface emissions to CO2 growth surely.. yet CO2 growth does what it does regardless of our emissions. 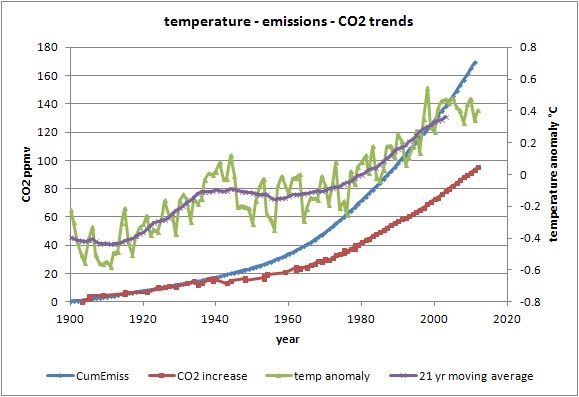 We cant be a driver yet not affect CO2 growth with huge increases in emissions? Of course the increase in CO2 being blamed on humans is an assumption with no empirical support, how could there be if no one actually can monitor CO2. The budget balance of nature.. if on balance, means we drive increases, yet CO2 growth has never matched our growing emissions. On further review not sure if my graph above is accurate. The the RCP’s are based on total greenhouse gases not just CO2. I have not yet seen any about how this is calculated. Is there an accepted conversion factor for atmospheric ppm CO2 and metric tons C? We routinely see emmisions measured in metric tons, and changes in atmosheric CO2 expressed in ppm, but no explanation of how much carbon, by mass, is represented by a given atmospheric concentration. Without this conversion its impossible to tell if the roughly 8k to 10k metric tons per year from fossil fuels accounts for all of the annual increase in CO2, or only a fraction? That means that the 10 to 12 GT Carbon would have given 4.7 to 5.6 ppm CO2 rise in the atmosphere if all had stayed there, but since more than 50% goes to the ocean and plants, we only have about 2 ppm rise in the atmosphere.